Today we are going to root the Galaxy Note 4 model number SM-N910W8 using the CF-auto root method by the recognized XDA developer Chainfire, which is currently the easiest and best method to safely and successfully gain root access. 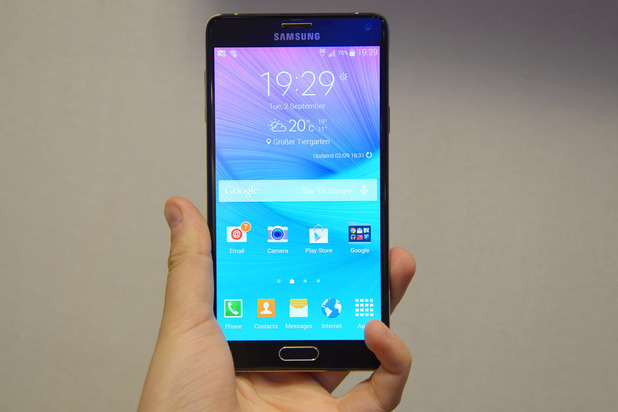 Use this guide only for Samsung Galaxy Note 4 with the model number SM-N910W8 running Android 4.4.4 KitKat. Install USB drivers or Kies on your PC.. Enable USB debugging from Settings > Developers Options. Download CF-Auto package for Note 4 from HERE. Carefully read and follow the instructions. First download the required packages for your Galaxy Note 4 SM-N910W8 using the link given above. Extract the cf-root zip package. You’ll get Odin3 v3.07 and tar.md5 rooted kernel. Reboot your Galaxy Note into ‘Download Mode’ by pressing and holding the Volume Down+Menu+Power buttons for a few seconds till you see a warning message on the screen. Hit the Volume Up key to continue into download mode. While in download mode connect your GN4 to PC using the USB cable. Run Odin and click on the ‘PDA’ button and select the tar.md5 rooted kernel file from the unzipped folder. Next, Click the ‘Start’ button to flash the cf-root package on Galaxy Note 4 which will install SuperSU. Finally give it some time and once completed successfully Odin3 will notify you via the green labelled PASS!! message and your phablet will automatically reboot. When your phone reboots, check that SuperSU has been installed. Open Google Play Store, search for ‘Root Checker’ App, install it and launch to verify to root access on GN4. Cheers! Your Galaxy Note 4 SM-N910W8 has successfully been rooted running the Android 4.4.4 KitKat firmware using the CF-auto root method by Chainfire. That’s it folks, Hopefully you’ve successfully gained root access, do let us know and share your experience in the comment section below. For more Rooting Guides and Android Tips keep visiting. Feel free to let us know, if in case you still need some help or confused at any step.